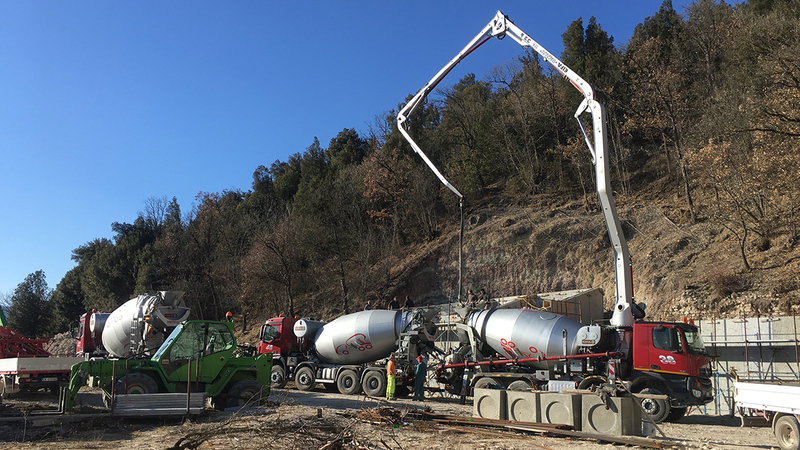 The support of the rebuilding of the Monastery of San Benedetto in Monte is vital to the Traditional Mass movement within the Church. 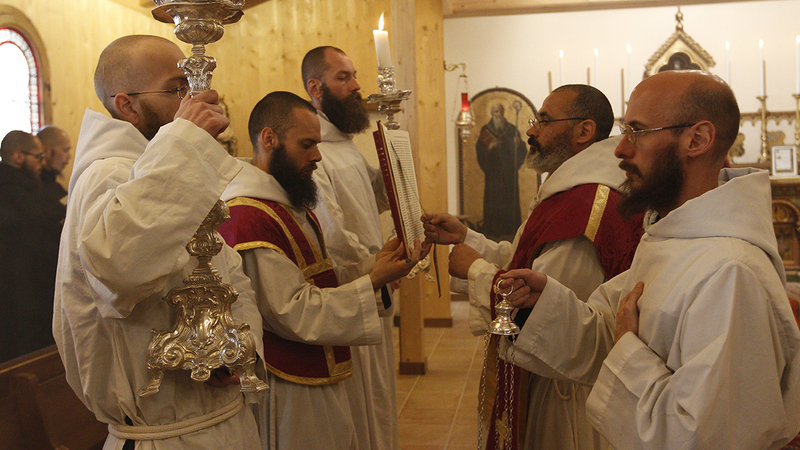 Reform of the Church has in the past come form the monasteries. 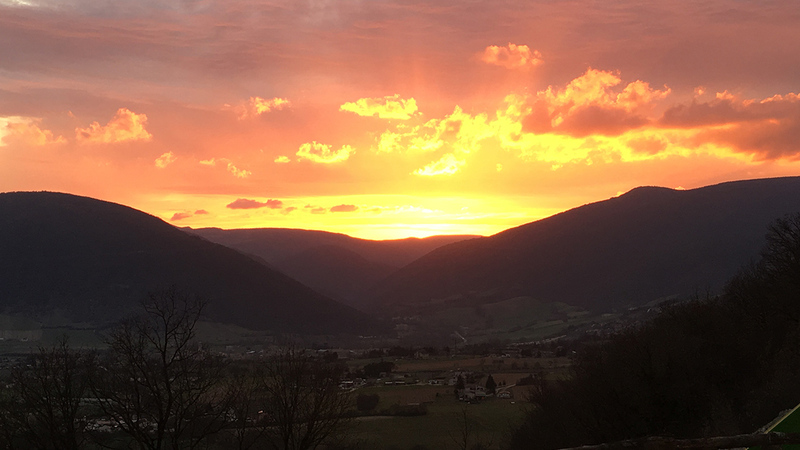 As a firm supporter and admirer of this Monastery since its founding, I have no doubt that San Benedetto in Monte will play such a role in the Church in the immediate future. Please read the communication from the Monastery below. I would suggest to you all that you make a generous gift to the Monastery as part of your Lenten sacrifice. I shall be visiting the monastery in the near future to perhaps give some talks to the monks and to take advantage spiritually of living with them in their daily life based on the worship of God. Construction has started on the new monastery, but on the most unlikely of sections: the laundry room! While washing our monastic habits and linens is indeed important, the reason that the building work is starting here is nearly 500 years old. When the Capuchin monastery was first built, the laundry room was constructed in a retaining wall which also channeled fresh mountain water to the monastery. We are trying to rebuild the monastery as faithfully as possible according to the ancient plan. That means that we too are building the laundry room in conjunction with the retaining wall. Laundry is a fitting theme to start this update since during Lent the monks try in a particular way to clean up, not our outer clothing but our inner souls. They can become dirty and tired through our negligence throughout the year. The monk’s life, St. Benedict teaches, is a continuous Lent, but we grow weak and tired and need a season dedicated to penance. 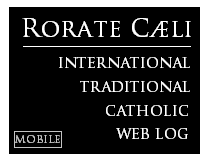 Aware of the continual stream of bad news about the scandals in the Church, we use this time to do penance for our personal sins as well as to pray for those affected by things happening in the wider Church and world. With the coming of Spring, we see the hope of new life both in nature and for ourselves. 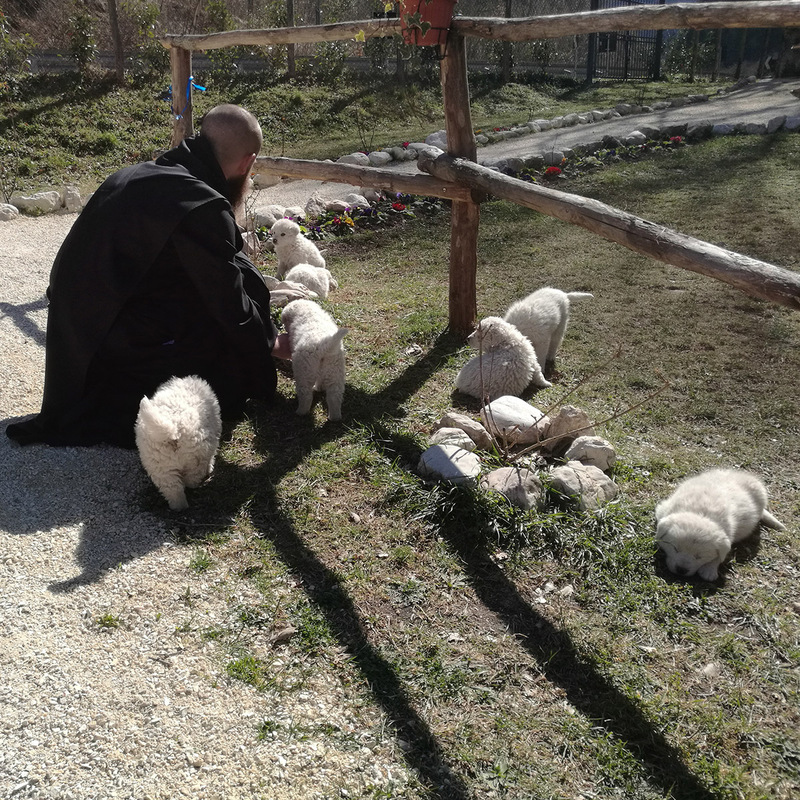 We are happy to share that our monastery farm is growing. Shortly after we built the chicken coop last year for our chickens, we realized we needed help to protect them from the wild boar, wolves and foxes that roam our woods. 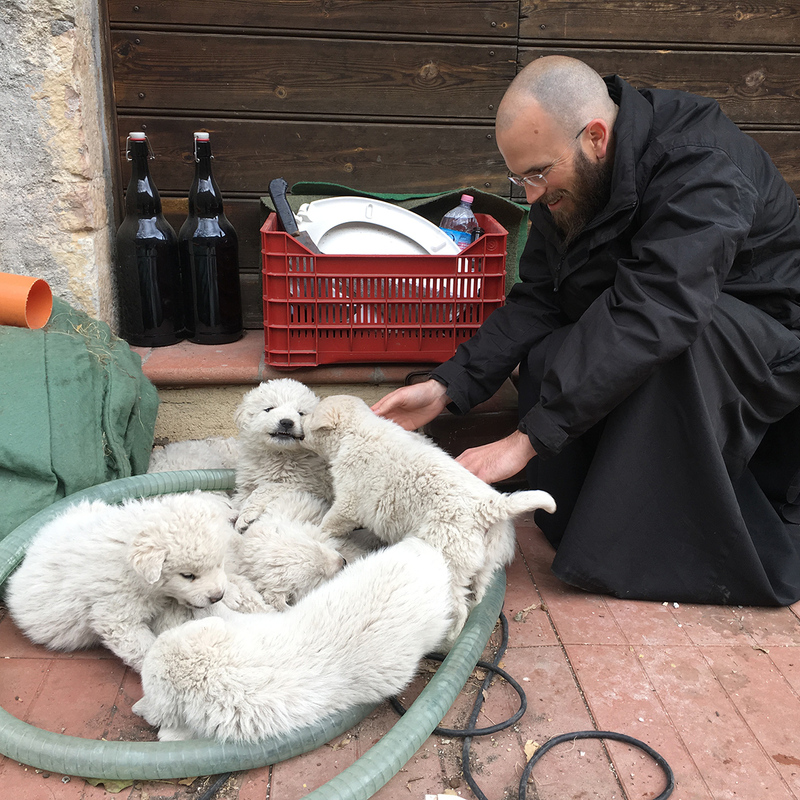 Help is now on the way in the form of Umbrian sheep dogs, born last month on a nearby farm. Their names will follow an ancient Roman custom: Primus, Secundus, Tertius and Quartus. The arrival of this breed of protective sheep dogs means that we’ll soon be able to acquire a few goats. We need their help to clean the underbrush in the vast forest we have inherited from our Capuchin forefathers. As we grow, other animals will join the farm. A monastery, says our holy Patron, should have everything inside of it so that the monks don’t need to leave unnecessarily. 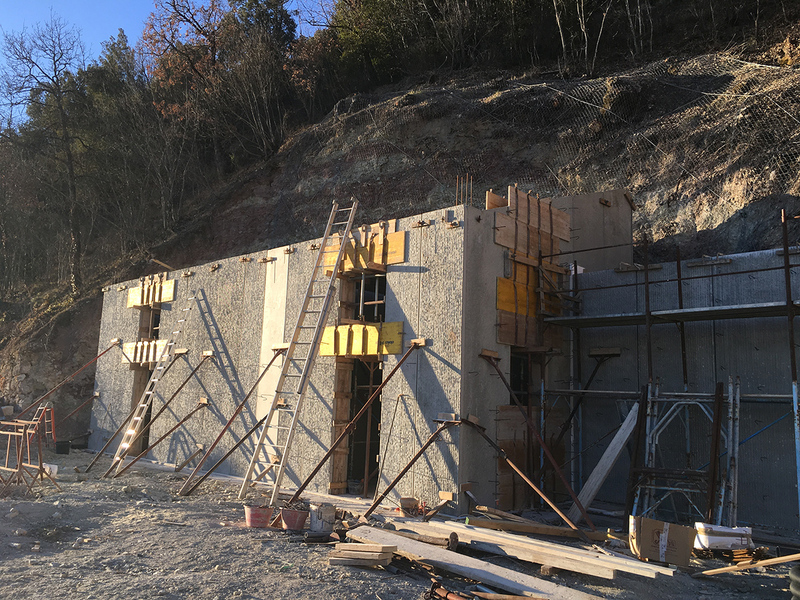 This takes time to build and set in order, but with your help, our fundraising will advance successfully and we will be able to complete the construction. And yet, as we plan for new life and growth, we must also plan for death. In the past two months, three monks lost a parent. The close proximity of these passings was difficult but nevertheless a powerful reminder to keep death before our eyes daily, as the Rule says. 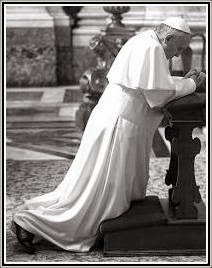 All of this present suffering, as well as the chaos and confusion in the world and in the Church will pass away and we must be ready for our own judgement. Along with our slow construction of the farm, we are also laying the ground for a monastic cemetery, a traditional place to pray for the souls not only of monks who will leave us (as of yet we have had no deaths) but for all our loved ones, family, friends and benefactors.